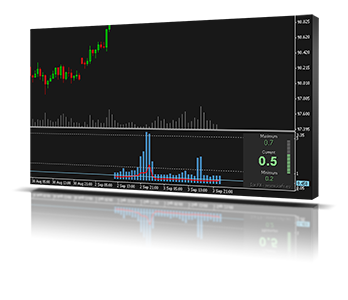 TickInfo is a unique tick chart indicator for MetaTrader 4 platform. 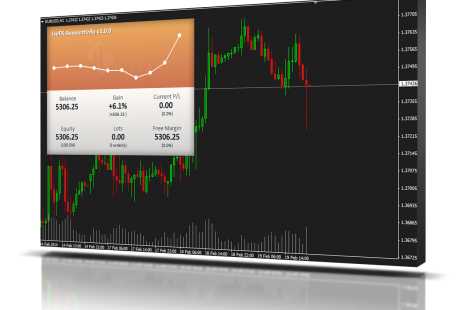 The software is capable to graphically display the last 100 ticks and in addition to that it displays the current spread, bid / ask and time values ​​in an elegant IceFX style dashboard. Heatmap is a special indicator that shows the places where the price has been staying and ranging over the past few days. These sites will be display in a “Heatmap style”, with which you can clearly see the main formed bands. 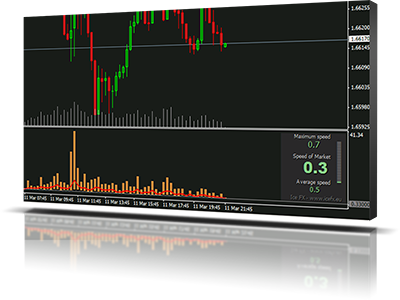 VelocityMeter is a very unique indicator on MetaTrader 4 platform which measures the speed of the forex market. It’s not a normal volume or other measurement indicator because IceFX VelocityMeter is capable to understand market speed movements which are hidden in ticks and those valuable information cannot be read in an ordinary way from the candles. AccountInfo indicator is able to unlock all advanced feature of MetaTrader 4 (above build 600). This indicator can graphically represent the main data of the current account (balance, equity, free margin, current Profit/Loss, total Profit/Loss, amount of open position(s) & size, etc.) in an elegant way. On the chart AccountInfo graphically shows the account balance of recent days. DrawProfit indicator can efficiently help those traders who want to see on the chart all closed positions output: profit or loss. Profit Information Indicator for MetaTrader 4 which displays actual profit information.